Key difference: Angina occurs when there is restricted or reduced blood supply to the heart. A heart attack occurs when the blood supply to the heart has been completely blocked. Angina and heart attack are two distinct heart conditions, however it may be difficult for somebody to tell them apart, as they have very similar symptoms. Angina occurs when a heart does not get enough oxygen rich blood supply. This happens when there a built up of plaque (plak) on the inner walls of the coronary arteries. The plaque reduces or constricts blood flow to the heart. The reduced blood flow results in restricted oxygen supply to the heart, which manifests itself as severe pain and discomfort in the chest. This pain can then spread to the shoulders, arms, neck, jaw, or back. Symptoms can also include nausea, fatigue, sweating, light-headedness, weakness or shortness of breath. If left untreated an angina can lead to a heart attack, as the plaque buildup makes it more likely that blood clots will form in the arteries. These blood clots can partially or completely block blood flow, leading to a heart attack. A heart attack is when the heart gets no oxygen at all, and the heart muscle starts dying. However, there are times when a heart attack presents itself, without a preset of angina. Another reason for a heart attack could be a severe spasm or tightening of a coronary artery. The spasm cuts off blood flow through the artery, which leads to an attack. These spasms can occur in coronary arteries that do not have plaque built up. The symptoms of a heart attack include chest pain or discomfort, discomfort in one or both arms, the back, neck, jaw, or upper part of the stomach, shortness of breath, nausea, vomiting, light-headedness, sudden dizziness, or cold sweat. As some of these symptoms are similar to an angina, it can be difficult to tell them apart. If the pain and discomfort subsides after a while, it was most probably an angina. 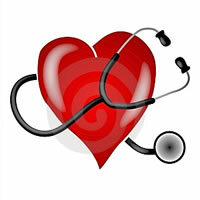 However, if the pain and discomfort continues or worsens, it is most probably a heart attack. In either case, it is important for the affected person to go to the hospital.